A Kindergarten Literacy Routine from Greg Smedley! Today, we bring you another guest blog post from Greg Smedley. For more from Greg, be sure to check out his blog! 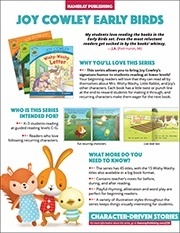 Today I want to share part of my literacy block routine. I have used this routine for three years without much tweaking, and I credit this routine for a big part of my success in teaching students to read. 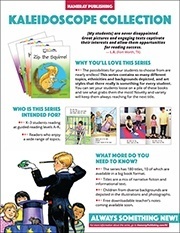 This is one of the questions I get most often: what do you do to help your kids read so well? So, here's part of the answer! Our day starts at 7:45 with arrival. Arrival lasts until 8:00. Announcements last until 8:05. Morning Meeting lasts from 8:05 until 8:20 (give or take!). After morning meeting, we sing four songs. As soon as we finish our songs, we begin our literacy block. Our literacy block lasts from 8:20–10:10 and then 11:10–12:10 is literacy with a writing focus. Today I want to share our literacy kick-off routine! I point to a picture. They say the letter, the picture, and the sound. Remember the Alphardy song (Dr. Jean, btw!)? That is where our letter and sound chart comes from. For example: "A apple /a/, B bounce /b/," and so on. Early in the year, we do them in order. After we get good at the routine, I switch it up and we do them in random order. I also switch between whole group and individual turns. This is key to our strong foundations in reading. They are exposed to every letter and every sound every day! After letters and sounds, we move to sight words. We talk about sights being everywhere, and if we want to be good readers, we must learn our sight words. We are using a new sight-word routine this year, and already, I have seen a huge difference in sight-word recognition. I will do a much more detailed post on sight words later, but it looks like this: read the word, spell the word, decode the word (if possible), and use it in a sentence. Tuesday and Wednesday's focus is on reading the word and using the word in a sentence. On Thursday, I present a grid that we read and color. The grid goes home to practice. Friday's task is a game or graphing activity. After sight words, we read our poem. Each week we have a poem that is tied to our theme or letter. I find poems online and use those—I do not re-invent the wheel. This week we are reading a short "five senses" poem. Last week the poem was about a pig who wouldn't let me watch television. I try to find poems that are easy to read and poems that are funny! Monday we do echo reading. Tuesday we do a mix of echo reading and choral reading. Wednesday we do choral reading, and on Thursday and Friday they are reading the poem by themselves (unless it's a more difficult poem). I give this part of our literacy block big props for helping my student develop better fluency! They get to hear fluent reading daily, and they practice fluent reading daily. Sometimes we even incorporate different voices into our reading! After our poem, we read an emergent reader. 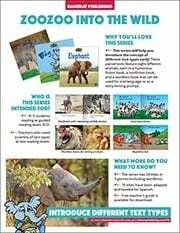 The emergent readers are generally sight-word based, and tie into our theme and topic. 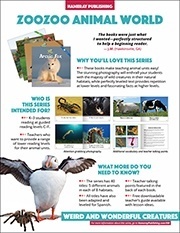 I am trying to incorporate more science and social studies into our emergent readers! We follow the same routine as with the poem. Thursday night the emergent reader goes home for homework, and Friday is when I ask for volunteers to read the book to the class! This is a perfect time for some very short mini-lessons on using sounds to help us read the words, on concepts of print, and on using pictures to help us understand what we're reading. Following the emergent reader, we focus on our sound of the week and our language focus of the week. For example, today we brainstormed /t/ words. We also counted syllables in words and identified rhyming words. This changes weekly or bi-weekly depending on the language skills we're focusing on. The sound changes weekly. And now we are ready for our story and comprehension. That is a lot. But guess what? It's rapid fire and quick. This all takes about fifteen to twenty minutes (except the story and comprehension). It's just quick, well-practiced routines. Monday usually takes a bit longer, because it's a new poem and emergent reader. But generally, fifteen to twenty minutes is a good time frame for foundation building that reaps major rewards. So that is what the first twenty minutes of my literacy block look like. I hope that gives you some ideas for your own classroom and answers some questions you may have had! My name is Greg Smedley-Warren and yes, I am a bit of a rockstar! I am a male kindergarten teacher! It’s true! We are a rare species, but we do exist! I have been teaching for eight years and I have taught 5th grade, 2nd grade and kindergarten. My heart is Kindergarten! I believe that every student can succeed and that it’s my job to give them the tools they need. My classroom is full of energy and fun. We are always singing, dancing, moving, and learning. If you were to appear at my classroom door you would see chaos. But it’s really organized chaos. I am famous for my love of all things glitter, all things mustaches, and silly hats! I also write a teaching blog, Smedley’s Smorgasbord of Kindergarten, which is a peek into my silly and chaotic life as a teacher! I live in Nashville, TN (Music City USA) with my husband and our Golden Doodle, Butters! 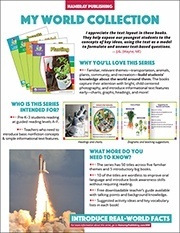 Want some fun, colorful emergent-leveled readers to use in your own literacy routine? 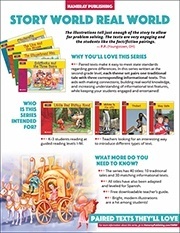 We've got great literature and informational text series! Click the images below to explore key features!